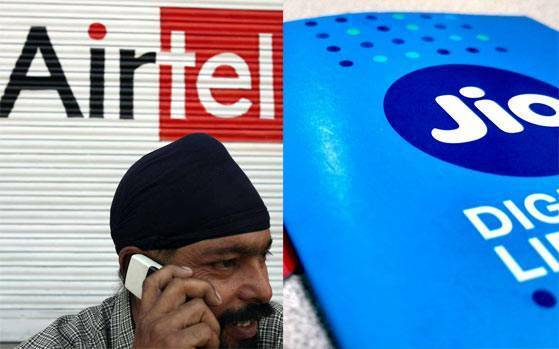 GST Impact On Mobile Phone Bills : How Much You Will Pay For 4G And Calls. like it or hate it, but bottom-line is, you just can't ignore Reliance Jio. The Mukesh Ambani-led Reliance Industries Limited (RIL) subsidiary, has single-handedly, opened the floodgates to a telecom revolution in the country: a telecom revolution like no other. "We're seeing Internet data costs -- from 20 years ago to now -- continuing to drop. Of course with Reliance Jio, no one has (d) ever seen a free mobile network that cost 20 billion dollars to build. It's one of the more extraordinary things anywhere in the world. We are excited to be part of that because the viewing of our shows has gone up a lot on the Jio network," co-founder and chief executive of Netflix Reed Hastings had said on his maiden trip to India recently. Netflix is a US-based company that specialises in Internet-streaming services. The revolution it started has also made incumbent players realise they can't be overcharging customers for inefficient/inadequate services. The revolution that Jio started has brought to light the fact that incumbent players were essentially hoarding on data. They are now offering heaps of it for free or at negligible cost. Their connectivity also seems to have improved over time. Come July 1, the Indian telecom sector is set to witness another revolution: the Goods and Services Tax (GST). Experts are hailing GST as one of India's greatest indirect tax reforms ever, but, at the same time, they are wary about some of the changes that the one tax to rule them all regime could bring to the nation. At least, in the short term. The Government, of course, wants them to look at the broader picture. The long-term benefits of GST -- much like the demonetisation drive -- are immense, the Finance Ministry chaired by Arun Jaitley argues. Also Read: Airtel payments bank offers 7.25% interest rate, accidental insurance worth Rs 1 lakh on savings account, and more. The Goods and Services Tax (GST) envisages a system of taxation which merges many individually applied indirect taxes levied by the central and state governments at various points in the circulation of products and services within the country into a single tax. On the one hand, foodgrains, milk and other articles of daily use are set to become more affordable after full exemption of taxes, your mobile phone bills are set to rise in the days to come after a three percentage points rise in indirect tax. Telecom services, until GST happened, attracted 15 per cent services tax. Under GST, they will attract tax rate of 18 per cent. "Being a regressive taxation system, the burn of increased tax rates will directly be faced by the end consumer unless the credit is passed on to the next in business chain," according to business management consultant firm SKP Group. Under India's new unified taxation regime, if you're a post-paid subscriber currently paying Rs 1,000, you'll be charged at least Rs 30 extra every month. If you're a pre-paid subscriber, you can expect your talk-time to stumble. If, for instance, you're on a Rs 100 pack, you're likely to get about Rs 82.20 talk-time as against Rs 83.96 now for the same price. The decision to levy a higher tax (of 18 per cent) as opposed to the incumbent 15 per cent, on telecom services, will likely have a cascading effect on telecom companies, further stressing the already bleeding telecom sector, according to industry experts. They, in fact, proposed that that telecom services be deemed as 'necessity services' and thus should attract a lower indirect tax (lower than the existing 15 per cent). "Telecom industry hails GST as an iconic reform but we are disappointed with announced rate of 18 per cent. It will augment the existing burden of the industry further. This is also likely slowdown the planned rollout of infrastructure across the country," Rajan Mathews who is director general of industry body COAI said. GST is coming at a time when tariffs for data usage have fallen to an all time low across the board whereas voice calls are now free for not just Reliance Jio subscribers but also for a majority of postpaid subscribers of Airtel, Vodafone India and Idea Cellular. Airtel, the same operator, that was charging Rs 1,199 for unlimited voice calling (local, STD, and national roaming) along with 1GB of 3G/4G data along with 100 SMS per day, until last year; now offers unlimited voice calling (local, STD, and national roaming) along with 3GB of 3G/4G data along with 100 SMS per day for as little as Rs 499. Moreover, for the last three months, it has been offering free 10GB 4G data per month to all post-paid subscribers for free. It has now extended the same for three more months going forward. It would be interesting to see how things change (or not) post July 1.